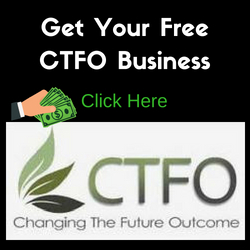 The CTFO Business Opportunity is free and comes with a world-class replicated website personalized to you. In addition, the back office business tracking system is also free! 1. CTFO (Changing The Future Outcome) is the most honest, caring company you will ever find. The owners did a lot of research to find the best CBD available. 2. The CBD Hemp Oil Products for Human and Pets that Work with a 60-day money back guarantee. 3. Only CTFO has 10XPure which is up to ten times more effective than the regular CBD Hemp Oil. CTFO 3 yrs ahead of all competition. 4. One of a kind unique pay plan and patented which pays out 100% of the CV. 5. Owners get paid the same as Associates. 6. Join for FREE and start earning a commission with no out of pocket cost. 7. Put your order on auto-ship and save 5% on your orders. 8. 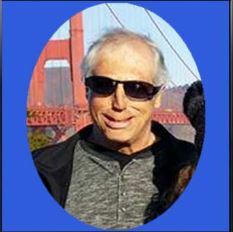 CTFO has an excellent support team willing to help answer all your questions. 9. Join Today and get a FREE Account and buy Wholesale. 10. I am here to help anyone that joins our team, to reach your goals. When you Become a CTFO Associate today, there is no risk and a tremendous upside. With us, you can earn a high six-figure residual income and it can be life changing. Your earning potential is virtually unlimited and you get to work from home! 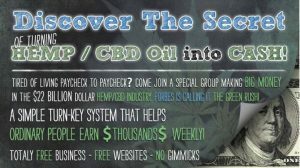 Our CTFO CBD business team is growing by the thousands daily! Countries that are currently open include USA, Canada, UK, England, Scotland, Ireland, Northern Ireland, Wales, and Sweden. Eight new countries will be opening soon so stay tuned for official release dates! 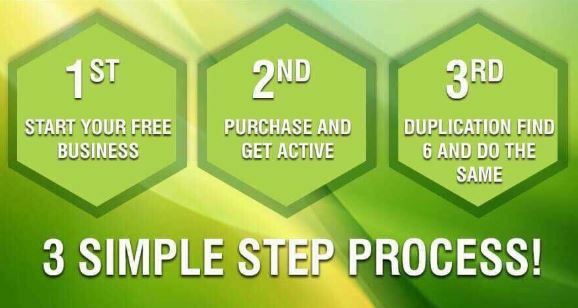 Get StartedCBD is the next billion dollar industry and you now have an opportunity to get a piece of that! The only question to you is will you make a decision right now or wait until the masses come in? CBD is set to grow 40 times in the next 4 years and is projected to hit 22 billion by 2022! Our new advanced CTFO Business System has just been integrated January 18th, 2019. It will present to your prospect or customer and then take them through the enrollment process in an intuitive manner! CTFO just launched a new website and backbone host in mid-January 2019. Expedited shipping, both domestically & internationally. 5% discount on ALL PURCHASES for those that have an active auto-ship. On January 8th, our Corporate call featured, Naxum President, Ben Dixon who gave us an overview of all of the features our new site has to offer! Disclaimer; Income is based on individual efforts. However, it is not guaranteed or implied. Examples shown are for illustrative purposes only and are not meant to convey what will or is going to happen with your business. The Timing of our CTFO Business Opportunity is remarkable right now and is getting really close to mass momentum. This is why it is important to take advantage of this window of opportunity right now. Personally, enjoy the health benefits of the products. Share the C.B.D/Hemp Products and CTFO Business with others daily. Follow up with your sign-ups. Invest your time daily in these activities, and you will be “in business” and on your way to achieving your goals.